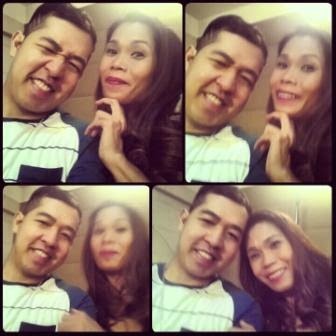 Home Celebrity Moments Celebrity Photos My Illegal Wife picture with pokwang PIctures with the Stars Pokwang Pokwang and Rocky Rocky and Pokwang Selfie Selfie Selfie and Wacky Selfie Posts Selfie Shots #Selfie: Pokwang and Rocky! Let's continue our #Selfie and "My Illegal Wife" experience! This time, I'm with my favorite comedy actress, Pokwang! For the nTH times now, I got many photos together with Mamang Pokie. I've supported her with her movies like "A Mother's Story," "24/7 in Love," and "Call Center Girl." This time, I'm with her for her newest Star Cinema and Skylight Film's comedy flick, "My Illegal Wife." Because of the success of her different movies under Skylight Films, Mamang Pokie is now dubbed as the "Queen of Skylight Films."